The Trisore 100H from European Home features a frameless design and sleek, glass-to-glass corners. 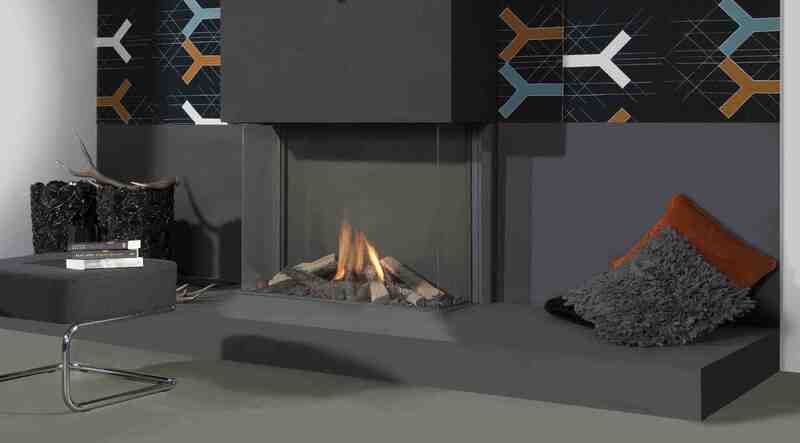 MALDEN, MA – European Home has added to its frameless designs with three new 100H fireplaces, all additions to the Element4 product line from the Massachusetts-based manufacturer and importer. Three new models in this family are: Modore 100H (pictured, below right); Trisore 100H; and Bidore 100H. 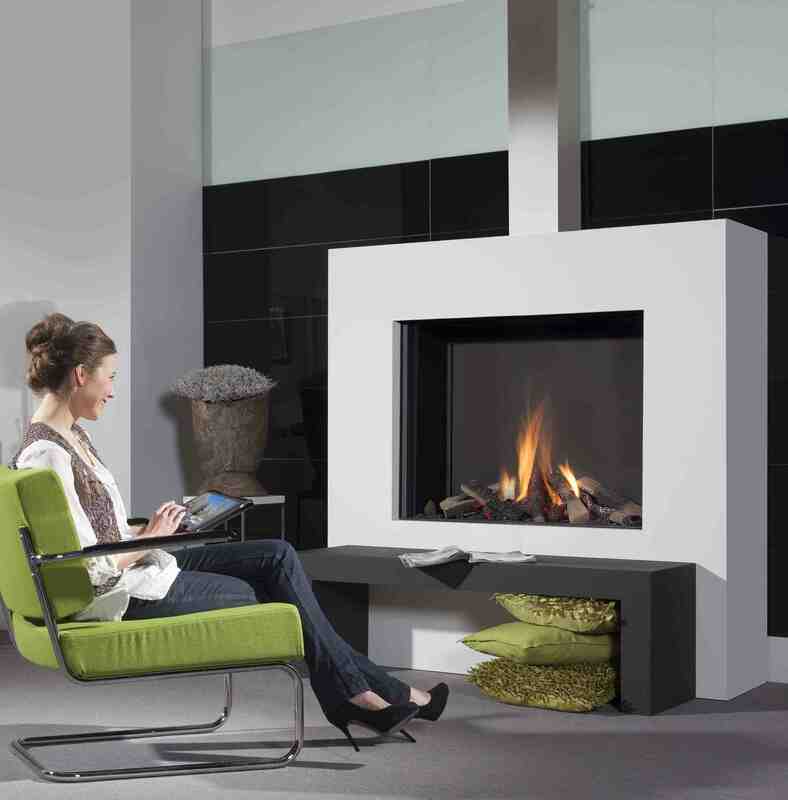 All three fireplaces have frameless designs and sleek glass-to-glass corners. In addition, natural flames and natural looking logs provide a contemporary and elegant look. Element4 models are available in North America through local hearth stores. They are imported by European Home of Malden, Mass, and models imported are certified for use in North America. Element4 multi-sided, trimless, direct-vent gas fireplaces come in a variety of shapes and sizes. Most models are available as 36 inches wide or 55 inches wide. • and a see through with a tall opening of 25 inches. The clean lines of the Element4 family do away with trims, louvers, and other distractions. Designed by Element4 in Holland, these models adhere to the simple beauty which minimalist design is known for. With just a beautiful firebox, gas burner supporting natural gas or propane, and natural fire objects of Carrara pebbles—logs or fire glass present a clean, trimless gas fireplace that is a pleasing addition to homes or commercial projects.